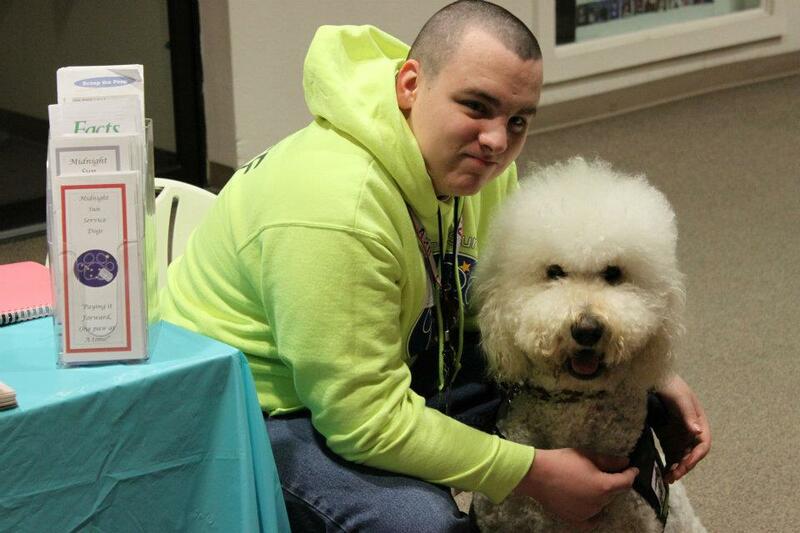 The MSSD Owner/Self-Training course is designed to teach clients to train their own dogs to be their service dog. 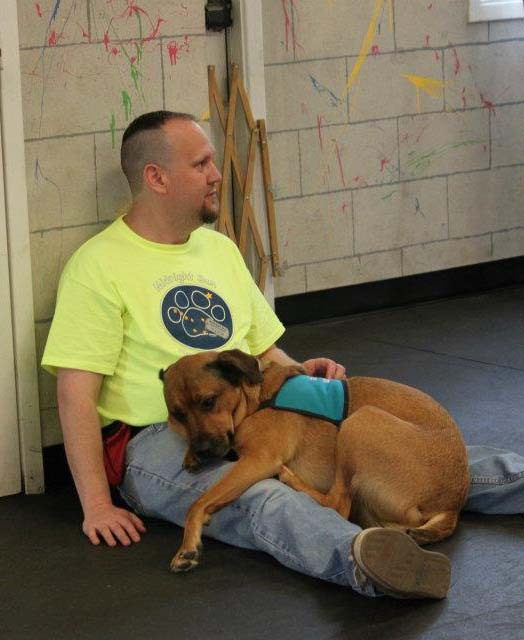 Training your own service dog is an in-depth process requiring discipline, but can be immensely rewarding. MSSD requires that Owner/Self-Trainer teams work with MSSD for a minimum of 6 months, and that the dog be trained to perform a minimum of 3 tasks to offset the owner’s disability. Request the Owner/Self-Training program application by emailing info@midnightsunervicedogs.org. Individuals have their dog assessed by MSSD, in order to determine suitability for service dog work. After acceptance into the Owner/Self-Training program, you may have private and group sessions. Private sessions are one-on-one training sessions with an MSSD trainer. 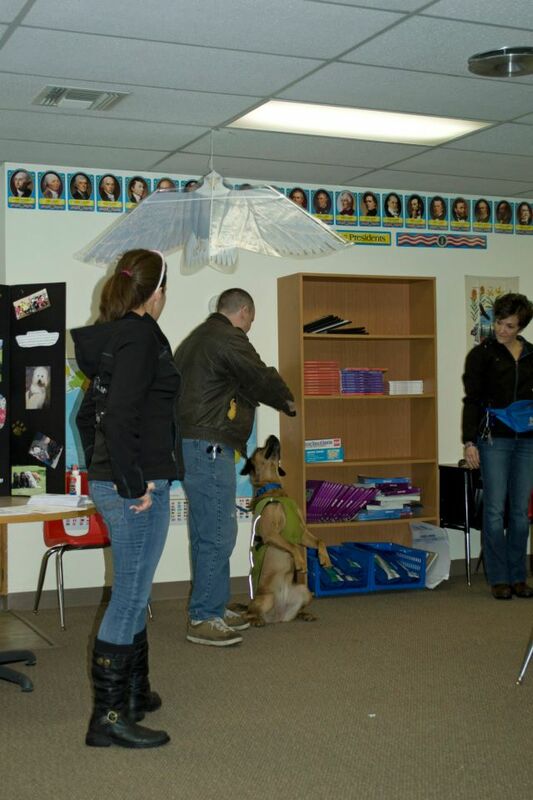 Classes focus on Public Access, Scent Training, or Task Work. At the conclusion of the course of training, the ADI Public Access test will be administered to the client/dog team. If public access is not achieved with the first try, subsequent training will be recommended. In the group class, individuals work on Public Access, Scent Training or Task Work and proofing. Groups will learn about the ADA Law and State Laws as they pertain to service dogs. 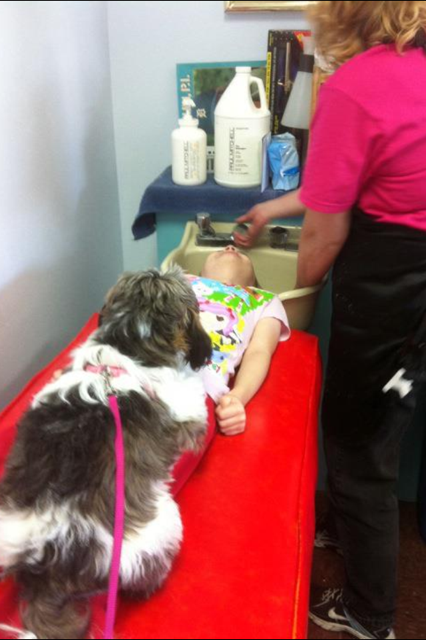 We cover basic care of dogs including grooming, nutrition, basic dog psychology, and canine development. At the conclusion of the course of training, the ADI Public Access test will be administered to the client/dog team. If public access is not achieved with the first try, subsequent training will be recommended. Individuals are required to attend a minimum of 1 training session per week and turn in weekly training logs. If you have more then 2 unexcused absences then you may be removed from the program. The OST program may not be for everyone! This is a grueling process with many highs and lows. It requires dedication and hard work. 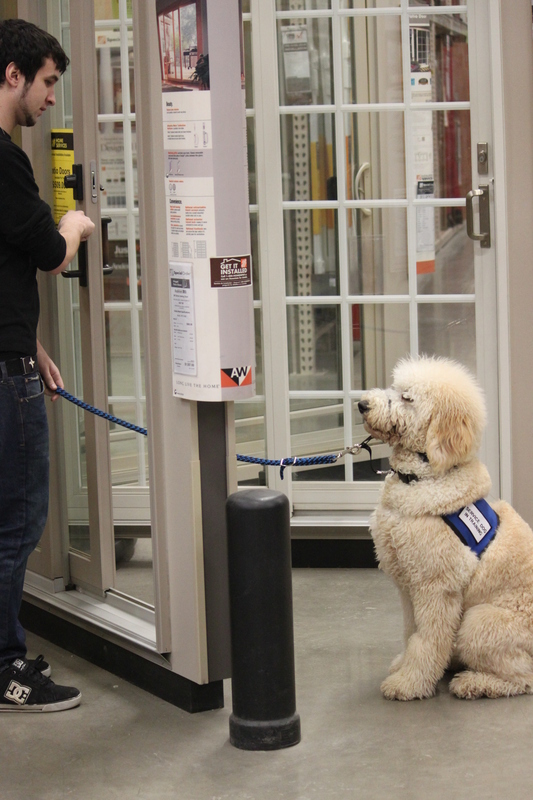 Although there are no guarantees with service dogs, this program can be very rewarding! To keep your certification and handling skills current, you will be required to pass the ADI Public Access Test on an annual basis. New picture identification cards will be issued at that time. To apply email info@midnightsunservicedogs.org to request an OST application. This program is similar to the OST program with the exception we provide a carefully selected dog for you to go through training with. This program requires patience, dedication and determination! To learn about eligibility for one of our dogs, email info@midnightsunservicedogs.org and request a service dog application. North Star Residential Treatment Our therapy dog teams go to North Star three times per week to work with the children. The children interact with the dogs, learn handling skills, learn training skills, gain confidence and self esteem and get an therapeutic experience through the dogs. Assisted Living/Retirement Homes Our therapy teams visit various assisted living homes, Retirement Homes, and Residential Homes around Alaska. Our teams interact with the clients and the clients get hands on visits with the dogs, learn handling skills, training skills and get human and canine interaction! Very rewarding! Hospital Visits Our therapy teams visit various hospital patients around the state. Many patients enjoy the social interactions with the teams, find comfort from the canine and enjoy the soft tactile stimulation brought by petting the canines. 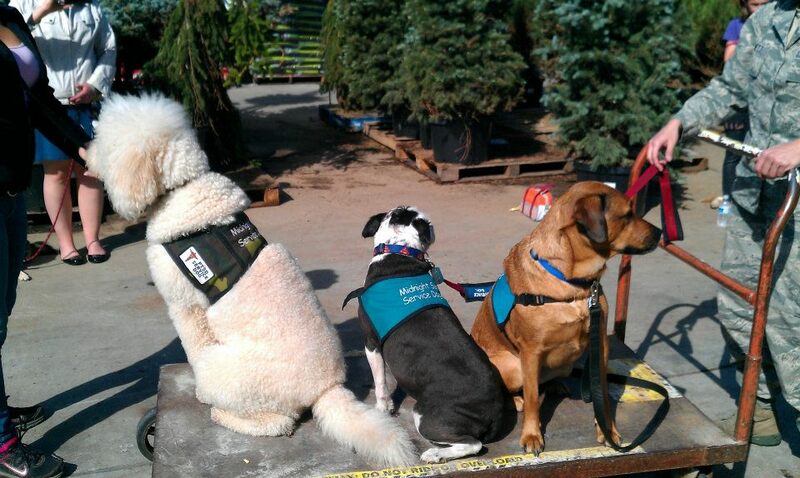 We have many other therapy visits that our teams do! If you are interested in this very rewarding experience, and would like to train your dog to do therapy work, please email jake@midnightsunservicedogs.org and request an application. Once you have your application complete can 907-250-7252 to request an in person interview and assessment of your dog. Full requirements and testing criteria can be obtained through email. The cost of the program is $150.